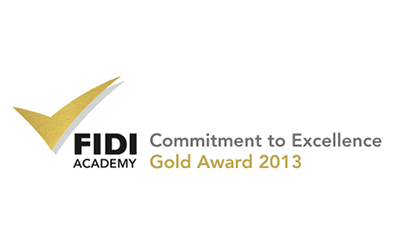 AGS receives FIDI Academy Gold Award 2013. AGS Worldwide Movers has been honoured with the FIDI Academy’s prestigious ‘Commitment to Excellence’ Gold Award, issued in recognition of AGS’ continual investment into staff training in 2013. The academy of the Belgium-based International Federation of International Movers (FIDI) is widely recognised as a professional provider of tailor-made training courses for all job roles specifically within the international moving industry. “It is very effective training, well-adapted to our daily tasks – whether you are in sales, an international coordinator or warehouse chief, FIDI have training for all staff,” comments Christophe Mordelet, AGS Group Human Resources Director. In addition to the ever-increasing number of AGS branches worldwide which are accredited by FIDI through the FAIM and FAIM Plus certifications for quality and compliance, AGS is also a regular sponsor of FIDI Academy’s ‘Essentials in Moving’ training seminar for staff employed by FIDI members.